Comfortable knitted beanie hat with a USB rechargeable bright 4-LED light, with three brightness settings. 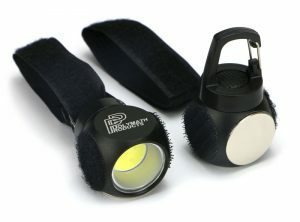 A great alternative to a head torch; allows you to see and be seen in the dark! ‘One size fits all’, unisex design. 100% acrylic fabric for excellent insulation and moisture-wicking properties. The LED unit is easily removable for when the hat needs washing. The LED unit puts out a bright light for up to 4 hours of continuous use, and then can be easily removed from the hat, and charged via USB from an in-car charger, power bank, desktop / laptop PC, phone charger plug or any other USB charging device. Ideal headwear for a wide range of outdoor activities; perfect for camping, hiking, mountaineering, snow sports, running, cycling, fishing, dog-walking, and as a hands-free outdoor / automotive work light. Keep one in your rucksack, bag or car glovebox for when the need arises. 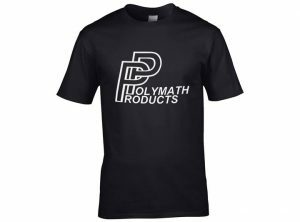 Black fabric contrasting with machine-embroidered ‘Polymath Products’ logo in white. A warm, comfortable beanie hat with a seriously useful built-in 4-LED lamp, making this the ideal multi-function hat for all of your favourite outdoor activities. Keeps your head nice and warm, makes you safely visible, and allows you to see what you’re doing and find your way in the dark! Never again be stuck without a torch with this hat! Easy-to-use LED light unit can switch between three brightness settings and off again at the press of a button. The LED unit can be popped out of the hat and then plugged into any standard USB port for easy recharging, and with the light unit removed the hat can be put in the wash.
As well as being a great gift for outdoorsy friends and family, this versatile headgear is the perfect functional accessory for your own outdoor pursuits; camping, hiking, winter walks, mountaineering, snow sports, running, cycling, fishing, dog-walking, and as a hands-free outdoor / automotive work light. 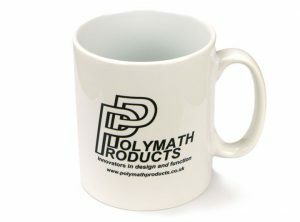 It’s compact and lightweight too, so can be kept on you at all times; fits nicely into even a pocket or small bag!